The company is one of the prominent Semi Refined Paraffin Wax Exporters, Importers, and Suppliers in India. 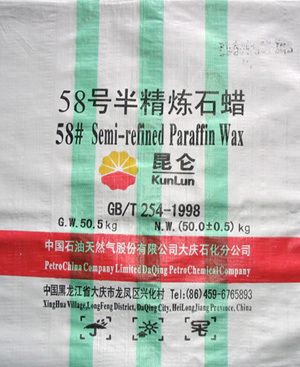 The Semi Refined Paraffin Wax, which we offer, can be availed in bulk quantity at affordable prices. This is a semi-refined paraffin wax product made from natural crude-based oil containing wax through the process steps of solvent deoiling and hydrotrating. The product is an odorless solid under ambient temperature, can be molten by heating. The product is combustible, of low thermal and electric conductivity and strong moisture hold-up. It contains limited content of oil and indicates better moisture-proof, insulation, plasticity and chemical stability etc. The product can be used in manufacturing of candle, crayon, packaging paper and stationery articles,as well as in general electronics, wood processing, and as raw material for light industry and chemical production etc.